For most people, the property your home or business is on was likely owned by someone else before you bought it. Whether you know the full history of the land or not, many property owners would really like to know what’s underneath their property that they can’t see. With the increased availability of metal detectors, now you can find out exactly what’s below your home or business. While many people are interested in searching their property with a metal detector for curiosity’s sake, there’s actually a good reason to learn more about what lies beneath the surrounding grounds. Not that long ago there were minimal, if any, regulations about what could be buried underground. In some locations for example, oil tanks or septic tanks could just be a metal barrel buried in the ground. As you might imagine, this would be something you’d want to remove from your property but, you may not even know it’s there without first working the area with a metal detector. 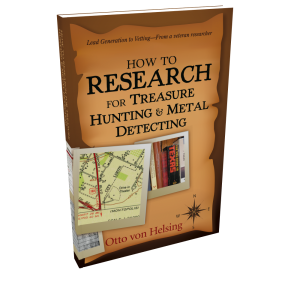 In addition, by searching your property with a metal detector you may be able to unearth historical targets, antiques, and/or relics that would otherwise have been left for the elements to further destroy. You may find valuable treasures under there as well. After all the trash piles of years gone by are full of items that are now considered by many to be “priceless antiques”. And, as mentioned above, there were no regulations on what you could bury. So, often, families kept dump piles in the backyard where you now might find antique glass bottles with your metal detector, metal toys, old oil cans, and other antique collectibles like these. The best metal detector to use when searching your property is a machine with deep-seeking capabilities so you can search as far down into the ground as possible. You’ll also want to look for a metal detector that features a manual ground balance control so you can search successfully no matter what type of soil mineralization is present. From there you’ll need to consider features like visual and/or audio target identification, the weight of the machine, ease of use (many models come with “set and go” controls), and, your personal price point.